You guys know how much I love a good bargain, so when I spotted this top at H&M the other day, I wasn't sure how good it was going to be. I mean, at $12.99, one can only expect so much. But, this top proved that I shouldn't be so pessimistic because it is one of my go-to tops now. It comes in three other colors, and I'm still wondering why I haven't gotten them yet. 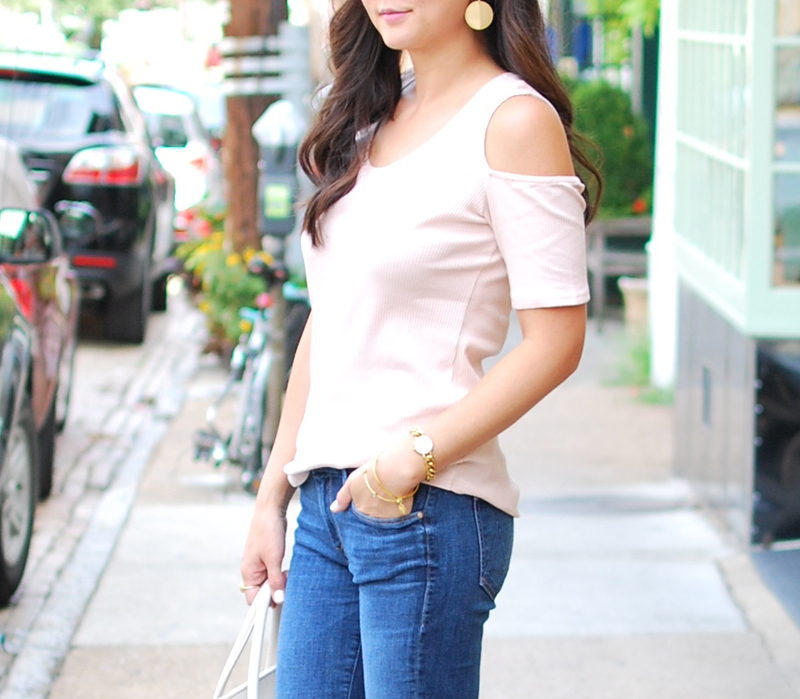 I'm sure I'll rectify that soon, but for now, I had to share how easy it is to wear this cut-out shoulder trend. And paired with some skinny jeans and these heels (which by the way, literally go with everything in my closet right now), it's an easy yet pulled together look to transition us into Fall.